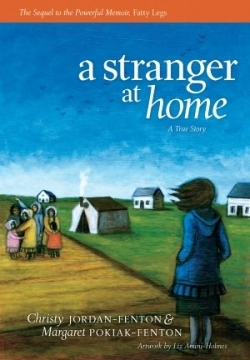 After being forced to adopt a new name, learn a new religion, and forget her culture and former life for two years at a residential Christian school, young Margaret is thrilled to return home. She is devastated, however, when instead of the warm welcome she was anticipating, her own mother doesn’t recognize her. Margaret realizes that she has lost a whole part of herself while at school; she can’t speak Invialuktun, her original language, she can’t stomach the food she grew up on, and she can’t connect with the very people and culture she was so eager to return to. Her struggle to retrieve what she once knew and reconcile who she has become is something she must overcome to ever find her place once again. As Margaret begins to rejoin her old life, important recollections are told in poignant but never overly sentimental ways. A scene where Margaret attempts to get her family to pray before dinner shows how even her compassionate father cannot fully grasp the changes in his daughter. Her pain at trying to do what she has been taught to believe is the right thing at the school illustrates just how torn she is between her old and new selves. Perhaps the most remarkable element of this book is the wonderful balance between the retelling of a unique experience with universal appeal and resonance. Margaret’s circumstances—literally being taken away from her home and her identity forced out of her—will engage and educate readers, and her Inuvialuit lifestyle is fascinating for those unfamiliar with the culture. Definitions for some Inuvialuit words and explanatory notes are also given. Margaret’s feelings of loneliness, even when surrounded by her family, are ones that every reader has known. Her desperate need to belong and her struggle to reclaim and grow into her true self are also common experiences. Most importantly, the inner strength she feels when she does regain her Inuvialuit name will inspire others. The book would fit well into a fourth- or fifth-grade English literature, social studies, or history class. The illustrations are perfectly suited to the text, and actual photos of family members and locations mentioned will emphasize the reality of the book. This story is told in the simple, honest voice of a deeply isolated, yet strong ten-year-old, but also contains the reflection and clarity that must have come over time, making it a great book for young and older readers alike.